AKIPRESS.COM - The UN's cultural agency on Wednesday expressed concern over the impact of tourism on monuments in Uzbekistan, according to Daily Sabah. UNESCO thus added the historic center of the southern Uzbek town of Shakhrisyabz to the in-danger list, "due to the over-development of tourist infrastructure in the site." 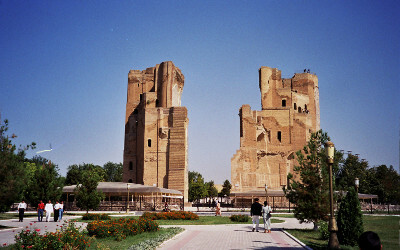 The town contains an unrivaled collection of religious and secular monuments built during the empire led by the great Turco-Mongol leader Timur (Tamerlane) in the 15th century. The committee said the destruction of buildings in the center of the site and the construction of modern facilities such as hotels had "affected irreversible changes to the appearance of historic Shakhrisyabz." It requested a mission to assess the extent of damage and propose appropriate corrective measures. The site was given world heritage status in 2000.